Suitability, Supervision, Employment Disputes, Selling Away,1031 Exchanges, Expungement, Portfolio P/L Derivatives,Senior Citizen Issues, Retirement Plans,Conflicts of Interest, FINRA changes and updates, Trading Disputes, Neglegence, Fair Dealing. Family Estate Dispute Resolution.False Claims, Fiduciary Rule, Diminished Capacity,High Pressure Calls, Family Trust Cases and Elder abuse. 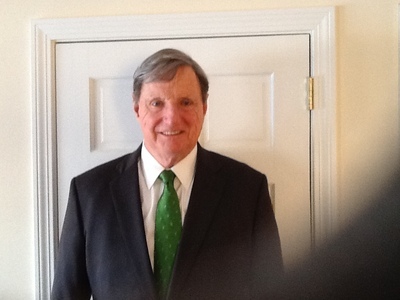 Mr. Sullivan has 35 years industry experience as Manager, arbitrator, and expert witness. He Has been approved as expert for FINRA, and in US Civil Courts in NY, MA, TX PA and RI. Annuities, Employment Disputes and Trust matters, which are some, but not all, issues of his prior testimony experience. Recentyly he has specialized in Senior Citizen abuse and fraud in lectures in PA Civil Court and Chair of a panel with SER in NY. This includes Fiduciary Duty and cases involving dimished capacity. claims and defence matters. Reg D filings and Private Placements with the UPIA (UNIFIED PRUDENTIAL INVESTOR ACT OF 2004) has been in his testimony.